A bouquet of mixed budding treasures. The treasures express love and fascination. 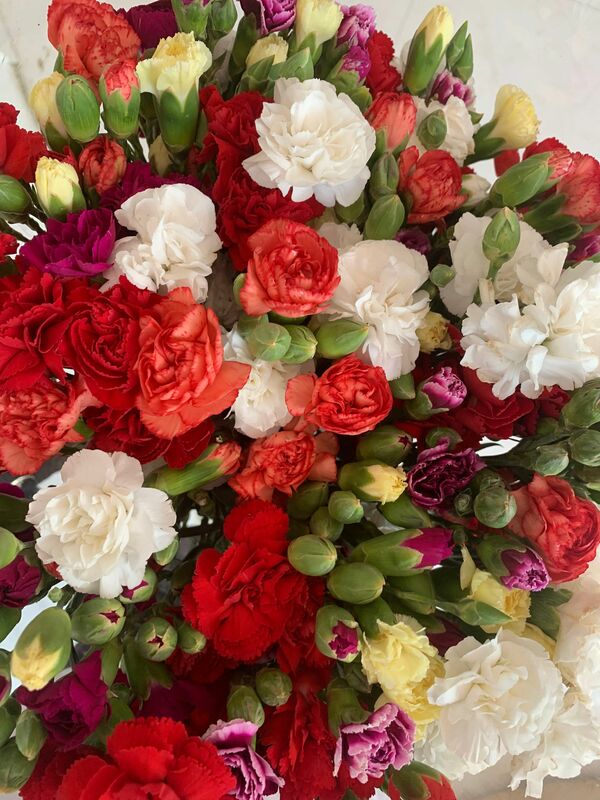 The bouquet has red, orange, yellow, white and purple carnations. Choose 4 from the above to create your own treasure.